I am in a car heading out of Los Angeles to Claremont to meet with a group of YWCA leaders who have retired to a small Californian community called Pilgrim Place. I’m feeling a little nervous as I will be meeting with Elizabeth Palmer, a living legend in the history of both the World YWCA and the international women’s movement. 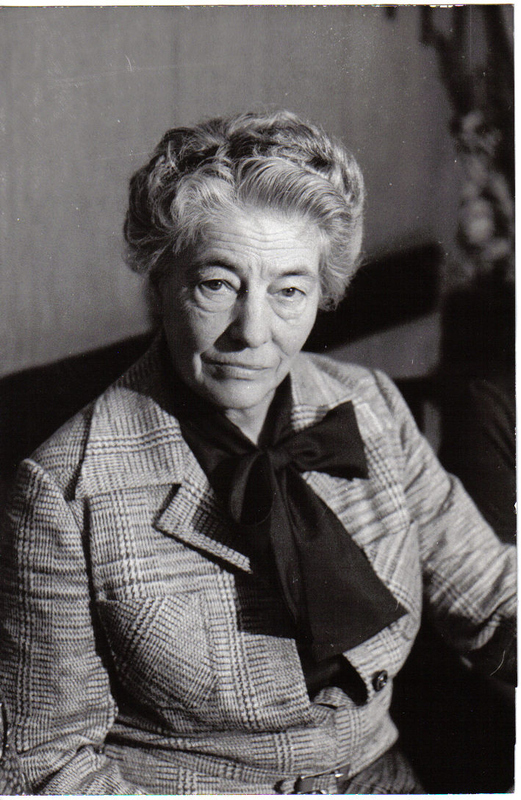 Under her leadership as General Secretary of the World YWCA, the movement expanded throughout the world and we were widely known as a leading women’s NGO, chairing NGO women’s forums preceding international women’s conferences in Mexico, Copenhagen and Nairobi. She later tells me that our respect came from being able to convene all women’s groups to discuss the issues that mattered and not get caught up in the politics. On the two occasions I have met Elizabeth before, I know she is a woman who dares to speak her mind and she will tell me if we are not living up to her expectations. So the car arrives, deep breath, and I descend upon Pilgrim Place. I first meet with Mary Douglas, who despite wanting to retire here in the late 90’s, keeps getting asked to come back and support YWCAs get back on their feet. In the last decade she has been the Interim Director of four YWCAs in the USA and has been able to turn them around from struggling groups to viable organisations. I ask her what has been the secret to her success and she says it is leadership development and ensuring YWCAs have the skills and people they need to be able to prosper. I also meet Betty Jo Anderson, whose story tells me that she is someone the YWCA quickly identified as a leader and continued to find new challenges to keep her busy, working at her local YWCA, the national and then later the international. She shares how she went to Turkey to set up the YWCA in an environment where organisations were unable to have Christian in their name, so she set up an organisation, which for ten years flourished as the YWCA by another name. Elizabeth arrives. She tells me that she is one of the oldest pilgrims at 99, although make no mistake she is sharp. Immediately, she is questioning how we express the Christian values in our work today. She stresses the importance of creating space in the movement to discuss who we are as the YWCA and remaining grounded in our faith and values. Elizabeth remarks “That we are clearly talking about important issues but are we”, she says, “listening to the woman and girls who make up this great movement”. Elizabeth says, “That this listening must inform what we do at all levels”. The human rights principle of participation springs to mind. Solidarity across the movement is another important message Elizabeth shares. One of the reasons that YWCAs flourished all around the world during her time was the support of sister associations. In Elizabeth’s day, mutual service saw YWCA women from strong associations travel to other countries to support their sisters in setting up systems and solid organisations. Today we see this expressed in the partnerships between YWCAs like Canada and Honduras, but there is something important in this message that centres on movement building and the ability to support our sisters in times of need. I ask these impressive women what is their vision for the YWCA movement of the future. Mary is clear – we must train young women to believe they will be the next President of their country. If we want to change the world we live in, we must be preparing our leaders to take up the highest positions of power and to be clear on the change that needs to happen. Elizabeth asks only that we listen. She says that we need to know our movement; we need to create space for women from communities around the world to express their concerns and our leadership must respond accordingly. Clearly, this listening and responding is what distinguishes a movement from an organisation. During the afternoon, I meet other YWCA women who form part of the Pilgrim Place sisterhood, including Tinker who spent 30 years in Japan with the YWCA of Sendai and Marilyn from the YWCA USA, as well as other women who have been connected to this great movement at different levels. As we talk about issues of identity, Mary remarks that we are not for everyone, but the YWCA is infectious. Once you first encounter the YWCA, it is difficult to leave as these women’s stories so aptly highlight. Elizabeth shares that in her day, being at the YWCA was much more than a job. I don’t tell her that I’ve always known this. We reflect that one of the special qualities of the YWCA is the global sisterhood. As I am leaving Elizabeth apologises for being so frank. I tell her that I wouldn’t expect anything less. She has inspired me to think deeper about how we build a movement that goes beyond paper into real practice; how we can create stronger connections among women and YWCAs around the world, and be a movement whose heartbeat is connected with the dreams and aspirations of women in local communities. They have all taught me that we cannot afford to rest on our laurels and the great history that these women have shaped, we must mobilise the global sisterhood towards improving the living conditions of people everywhere and seize the power to make this happen. Very inspiring! Thanks for sharing your visit to our ‘sheroes’ of this movement and for taking the time to connect with them, to hear their stories an receive their advice and feedback. I totally agree with the first response. What a lot we can learn from experienced people! what a lovely experience, thank you for sharing with us. this makes us reflect on our history and the stories of these great women encourages us to take this movement in to a more higher level. it reminds us of our duty towards the movement. Wowwwww, thank you for sharing your visit. I felt I was there just beside you. I have always great admiration for Elizabeth Palmer from the moment I met her at Quai Wilson and in the years that follows when she visited the World Office – I felt very lucky and privileged. It is so good to have news on Betty Jo too. It’s true, once you set in your mind and feet in the YWCA movement, you will never want to leave it. Although I am not directly involve with anything YWCA, my heart and my thoughts are always with this movement that I love and admire so much. What a delight to hear news of Elizabeth and her colleagues in Claremont! Once again we are reminded of the power of the World movement in giving help and support to our weaker associations and of keeping us ever open to change.